i was going to have a few bit's of gypsophila in my hair but after trying my dress again I think I need more of a comb. I can't seem to find one I love though that costs less than £50. Have anyone had had any experience of gyp or where to buy nice gold combs? 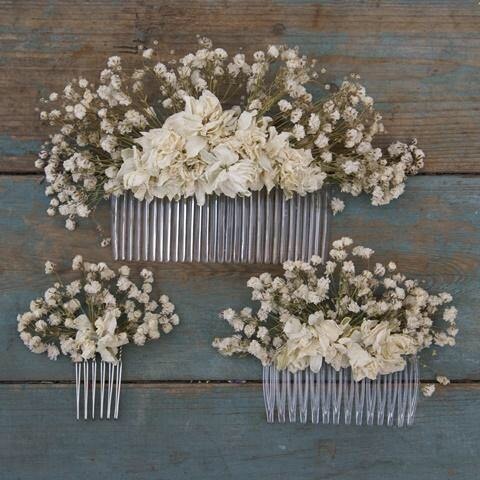 What about asking you florist to make you a comb with fresh flowers on? Best of both worlds?